The Terra Critica-network consists of a group of core-members and a wider rhizomatic network of participants and contributing research groups, who meet regularly for workshops, core groups meetings and other activities. Terra Critica’s annual meetings have been sustained by the network’s core members since 2012. The different Terra Critica practices are also supported by the associated members and the rhizomatic network of institutes and platforms that contribute to Terra Critica’s activities on a regular basis. 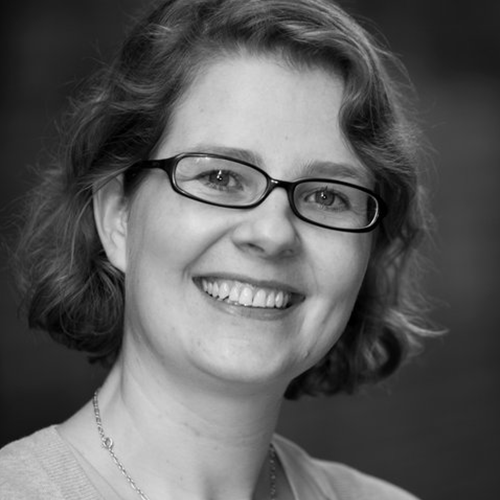 Dr. Mercedes Bunz is Senior Lecturer at the Department of Digital Humanities, King’s College London. Her research interest is driven by the question how technology transforms ‘knowledge’; her current project looks into artificial intelligence. Her research is situated between technology studies, theories of media, political economy and contemporary philosophy. Her most recent book is The Internet of Things (Polity Press 2017), co-written with Graham Meikle. Mercedes is series editor of Search of Media (University of Minnesota Press), together with Wendy Chun, Timon Beyes and Goetz Bachmann. She is co-founder of the open access publishing house meson press and co-edited with Birgit M. Kaiser and Kathrin Thiele Symptoms of the Planetary Condition: A Critical Vocabulary (meson press 2017). 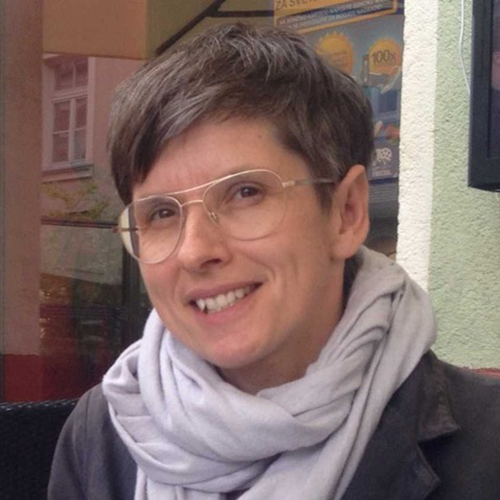 Birgit Mara Kaiser is Associate Professor of Comparative Literature and Transcultural Aesthetics at Utrecht University. She holds a BA and MA in Sociology from Bielefeld University and a PhD from the Department of Comparative Literature at New York University. Her research spans literatures in English, French and German of the 19th to the 21st century, with special interest in aesthetics, affect and subject-formation. Her book Figures of Simplicity. Sensation and Thinking in Kleist and Melville (SUNY 2011) is on aesthetics, affect and poetic knowledge. She has edited several books around the configurations of subjectivity, especially in post/colonial constellations of power (Postcolonial Literatures and Deleuze. Colonial Pasts, Differential Futures (with Lorna Burns, Palgrave 2012); Singularity and Transnational Poetics (Routledge 2015); special issue of PhiloSOPHIA: A Journal of Continental Feminism on ‘The Ends of Being Human? Re-turning (to) the Question,’ (with Kathrin Thiele, 2018)). Related to this, she also works on translation, the materiality of language, and multilingual writing. Together with Kathrin Thiele, she is founding coordinator of Terra Critica. In that context, she also works on the role of the humanities and their critical heritage. With Timothy O’Leary and Kathrin Thiele, she edits the book-series New Critical Humanities (with Rowman & Littlefield International) and has edited with Kathrin Thiele a special issue of Parallax on ‘Diffracted Worlds – Diffractive Readings: Onto-Epistemologies and the Critical Humanities’ (2014), as well as with Kathrin Thiele and Mercedes Bunz Symptoms of the Planetary Condition: A Critical Vocabulary (meson press 2017). 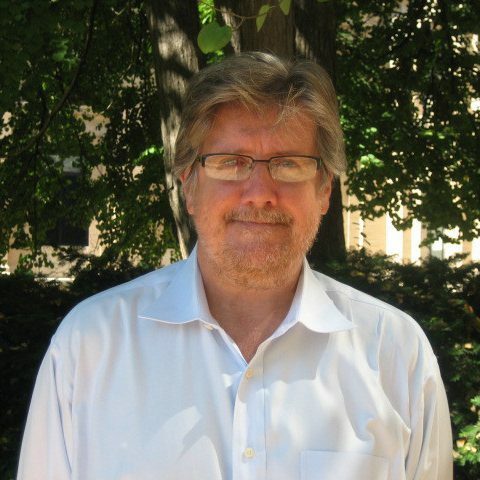 Leonard Lawlor is Edwin Erle Sparks Professor of Philosophy and Director of Graduate Studies at Penn State University. Before joining Penn State, he held the chair of Faudree-Hardin University Professor of Philosophy at the University of Memphis (2004-2008). His research interest focuses on 19th and 20th century continental philosophy, and his expertise on the tradition of contemporary critical theory (developed in the 1990s especially in the US) is highly relevant to the network, as is his work on immanence and life. His book publications most relevant to Terra Critica are: The Implications of Immanence: towards a New Concept of Life (which now exists in Italian translation). Fordham University Press, 2006; Thinking Through French Philosophy: The Being of the Question. Indiana University Press, 2003; The Challenge of Bergsonism: Phenomenology, Ontology, Ethics. Continuum, 2003; Early Twentieth-Century Continental Philosophy, Indiana University Press, 2011; as well as the 2016 From Violence to Speaking out, Edinburgh University Press. Lawlor is currently working on a book on Bergson and another book on violence. Jacques Lezra is Professor of Hispanic Studies at the Department of Hispanic Studies of UC Riverside, where he joined the faculty in 2016, from New York University. A scholar of comparative as well as Spanish-language literature, Lezra focuses his research in the fields of philosophy; the literature and visual culture of Spain and Europe in the early modern period; Marx and Marxism; and the theory, philosophy and practices of translation. His most recent books are Contra todos los fueros de la muerte: El suceso cervantino (La Cebra, 2016) and Lucretius and Modernity (co-edited with Liza Blake; Palgrave, 2016). His Wild Materialism: The Ethic of Terror and the Modern Republic (Fordham, 2010) has been published in a Spanish translation (2012) and in Chinese (2013). His latest book Untranslating Machines: A Genealogy for the Ends of Global Thought is forthcoming with Rowman & Littlefield International (Nov 2017) in the book series New Critical Humanities. Earlier work includes a first book, Unspeakable Subjects: The Genealogy of the Event in Early Modern Europe and his edition (with Georgina Dopico Black) of Covarrubias’s ca. 1613 Suplemento al Tesoro de la Lengua Castellana. In addition, Lezra has edited collections of essays on the work of Althusser, Balibar and Macherey, and on Spanish republicanism, and published widely on Shakespeare, contemporary and early modern translation theories and practices, Freud, Althusser, Woolf, animality studies, and other topics. He is the co-translator into Spanish of Paul de Man’s Blindness and Insight. With Emily Apter and Michael Wood, he is the co-editor of Dictionary of Untranslatables (2014), the English translation of Vocabulaire européen des philosophies. With Paul North, he edits the Fordham University Press book series IDIOM. Sam McAuliffe is a Lecturer in Visual Cultures at Goldsmiths, University of London. 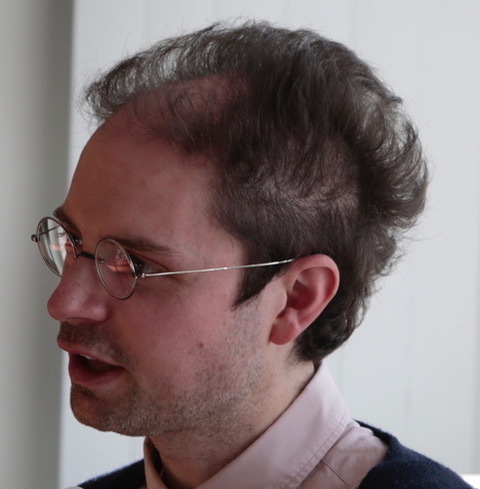 He holds an MA in Philosophy and Literature from the University of Warwick and his PhD in Philosophy – a study of the image in the work of Adorno, Blanchot and Deleuze – was undertaken at Goldsmiths. He currently teaches courses on the fate of utopia in modern and contemporary political aesthetics, and post-Enlightenment philosophies of nature. 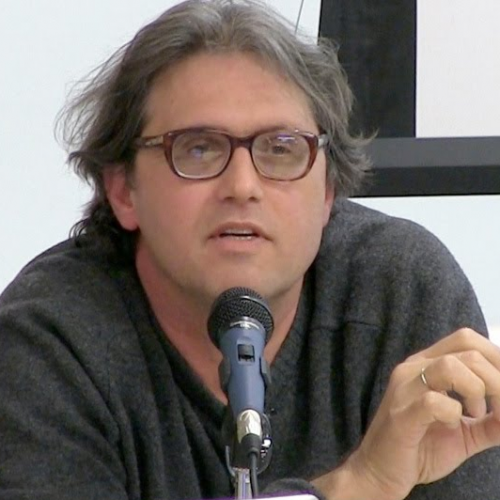 His research interests are rooted in the contexts of critical theory, poststructuralism, deconstruction, and Twentieth century art theory and practice, experimental literature and film in particular, and are at present centered on the relation between the gaze and the voice in Blanchot’s theory and fiction. Timothy O’Leary is a philosopher who moved from Ireland, to Paris, to Australia, to Hong Kong, and back to Australia again. His research is in the area of contemporary European philosophy, in particular the work of Michel Foucault. He has published two monographs, edited several volumes, and published many journal articles on topics including the work of Michel Foucault, the relations between ethics and aesthetics, the ethical dimensions of literature, and philosophical approaches to happiness. 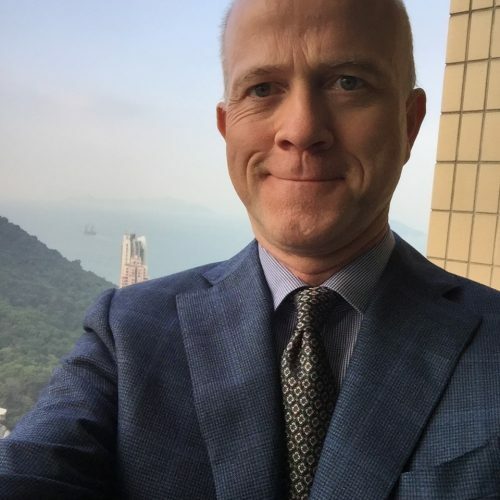 Before coming to the University of New South Wales in Sydney in 2018, he taught philosophy for 17 years at the University of Hong Kong, where he also served as Associate Dean of Arts (Research & Postgraduate), the Head of the School of Humanities, and an elected member of HKU Council. In his current position as Head of the School of Humanities & Languages at UNSW, he is particularly keen to promote the critical role of the humanities in our contemporary world of splintered politics, huge inequalities, and a growing environmental crisis. 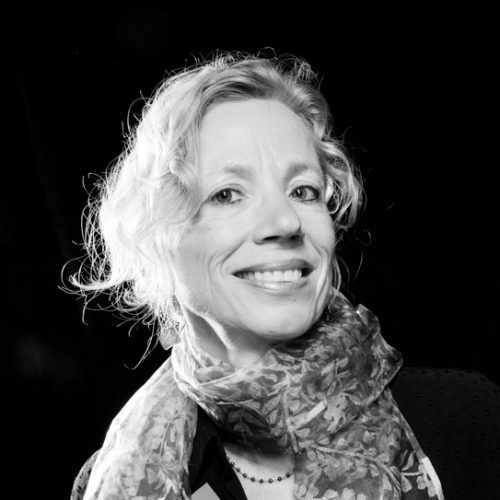 Esther Peeren is Professor of Cultural Analysis at the University of Amsterdam and vice-director of the Amsterdam School for Cultural Analysis (ASCA). Her research focuses on the critical potential of spectrality and on peripheral processes of globalization. 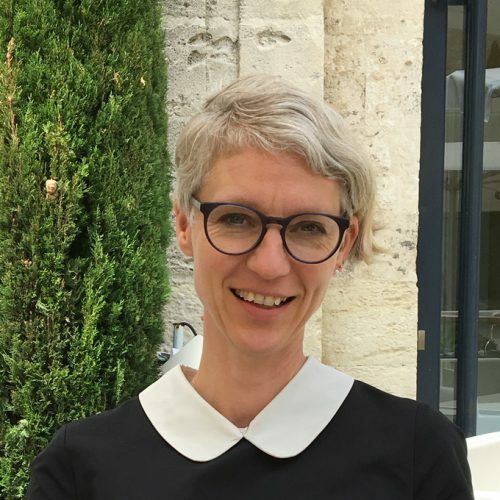 She is project leader of the ERC-funded project Imagining the Rural in a Globalizing World (2018-2023), which compares the in/visibility of rural globalization in film, television and literature in five countries (the Netherlands, the UK, the US, South Africa and China). Key publications include The Spectral Metaphor: Living Ghosts and the Agency of Invisibility (Palgrave, 2014) and the collections The Spectralities Reader (with M. Blanco, Bloomsbury, 2013), Peripheral Visions in the Globalizing Present (with H. Stuit and A. Van Weyenberg, Brill, 2016) and Global Cultures of Contestation (with R. Celikates, J. de Kloet and T. Poell, Palgrave, 2018). 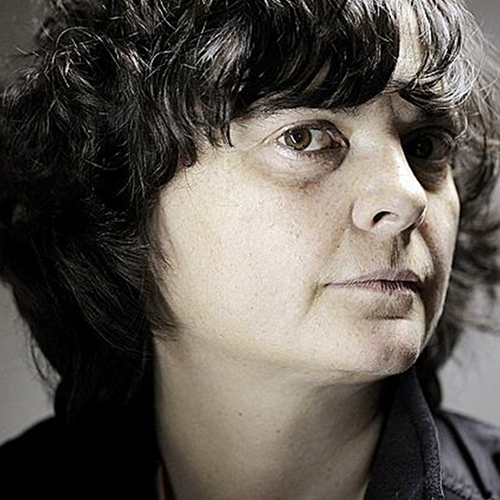 Anne Sauvagnargues is Professor of Universities and Director of the Department of Philosophy at the University Paris Ouest Nanterre (Paris X), France. She is also Director of the Center for Research on Art and a member of the transdisciplinary research team. History of Arts and Performances. Her research interests are contemporary French philosophy, critical theory and art criticism. Her book publications include Cursed word. Speaking, Paris: Le Seuil, 1996; (with Yue Dai Yun) Nature, Paris: Editions Desclée de Brouwer, 1999; 'Deleuze, from animal to art', in Deleuze's philosophy, with Francois Zourabichvili and Paola Marrati, Paris: Presses universitaires de France, 2004; Deleuze and the Art, Paris: Presses universitaires de France, 2005; Like beasts: Bear, cat, pig and Cie, with Bernard Fibicher, Magali Moulinier, and Marie Alamir, Milan: 5 Continents Editions, 2008; Deleuze, transcendental empiricism, Paris: Presses universitaires de France, 2008. She is also, with Fabienne Brugère, editor of the series 'Lignes d'art' at Presses universitaires de France. 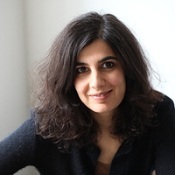 Melanie Sehgal is Assistant Professor of Literature, Science and Media Studies at Viadrina European University, Frankfurt (Oder). Holding a PhD in Philosophy from the Technical University of Darmstadt, she is the author of Eine situierte Metaphysik. Empirismus und Spekulation bei William James und Alfred North Whitehead (Konstanz Univ. Press 2016). Her work focuses on forms of speculative thinking beyond the nature/culture divide, with particular interest in classical pragmatism, process philosophy and science and technology studies. Since 2012 she has been hosting the workshop and lecture series Experimental Speculations/ Speculative Experimentations in Frankfurt/Oder and Berlin. Together with artist Alex Martinis Roe, she is leading the transdisciplinary and experimental working group FORMATIONS, which explores ways of knowing beyond modern disciplinary habits of thought. 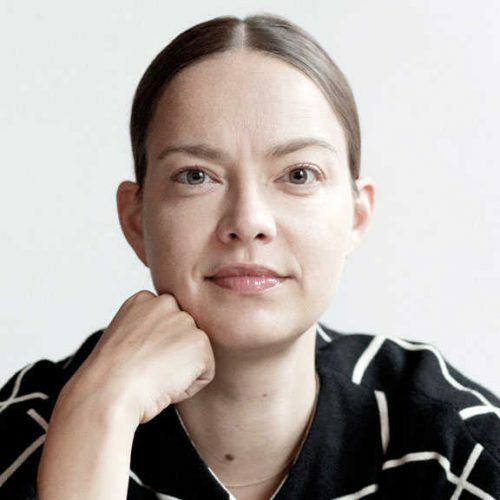 Kathrin Thiele is Associate Professor of Gender Studies and Critical Theory in the Department of Media and Culture Studies at Utrecht University. Trained transdisciplinarily in gender studies, sociology, literature, and philosophy/critical theory, her research focuses on ethics and politics from a feminist, queer and critical posthuman(ist) perspective. Her published work continues from a Deleuzian feminist legacy and pays specific attention to questions of relationality and difference(s). Currently, she explores critical thought for a queer feminist cosmopolitics, and with it she also aims at the revitalization of critical analyses within the (new) humanities. Her publications include her monograph The Thought of Becoming. Gilles Deleuze's Poetics of Life (2008); multiple co-edited books in German and English: Happy Days – Lebenswissen nach Cavell (with K. Trüstedt 2009), Biopolitische Konstellationen (with M. Muhle, 2010), Symptoms of the Planetary Condition: A Critical Vocabulary (with B. M. Kaiser and M. Bunz 2017), Doing Gender in Medien-, Kunst- und Kulturwissenschaften: Eine Einführung (with R. Buikema 2017) and Doing Gender in Media, Art and Culture: A Comprehensive Guide to Gender Studies (with R. Buikema and L. Plate 2017)); and guest-edited journal special issues: for Parallax on ‘Diffracted Worlds – Diffractive Readings: Onto-Epistemologies and the Critical Humanities’ (with B.M. Kaiser, 2014) and for PhiloSOPHIA: A Journal of Continental Feminism on ‘The Ends of Being Human? Re-turning (to) the Question,’ (with B. M. Kaiser, 2018). Together with Birgit M. Kaiser, she is founding coordinator of Terra Critica, and with Timothy O’Leary and Birgit M. Kaiser she edits the book-series New Critical Humanities (with Rowman & Littlefield International). Sybrandt van Keulen teaches Aesthetics at the Faculty of Humanities at the University of Amsterdam. He holds a Phd in Philosophy from the University of Amsterdam, entitled On cosmopolitics, deconstruction particularly with respect to the oeuvre of Kant, Lévi-Strauss en Derrida. His work focuses on art and critique in the critical tradition (from Kant, the Frankfurt School and Derrida). 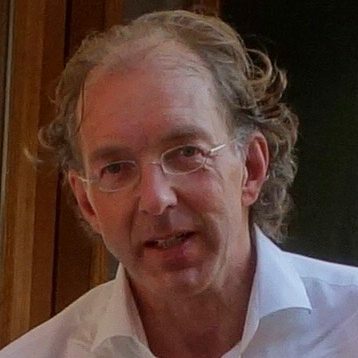 Van Keulen has directed seminars at Jan van Eyck Academie, Franck Mohr Institute and PhdArts. He is former chief editor of Esthetica. Tijdschrift voor Kunst en Filosofie. Van Keulen edited a collection essays on critical effects of art and philosophy: Hoe kunst en filosofie werken (Boom 2014). Jennifer A. Wagner-Lawlor is Professor of Women’s, Gender and Sexuality Studies and English at Penn State University, USA. She specializes in utopian and speculative literature, with a focus on feminist utopianism, and is the current president of The Society for Utopian Studies. Her publications deal primarily with contemporary women’s literature—though she began her career teaching and writing about nineteenth-century British literature. Her most recent book is Postmodern Utopias and Feminist Fictions, Cambridge University Press, 2013. Other publications include: The Scandal of Susan Sontag (co-editor with B. Ching; Columbia University Press, 2009); The Victorian Comic Spirit: New Perspectives (editor; Ashgate, 2000); and A Moment’s Monument: Revisionary Poetics and the Nineteenth-Century English Sonnet (Fairleigh Dickinson University Press, 1996). She is currently writing a book entitled Becoming Plastic, which focuses on the notion of plasticity as a structuralization of the ``possibility of another world.`` This monograph, centered on the work of philosopher Catherine Malabou, extends the themes of Postmodern Utopias, namely: hospitality; utopia; aesthetics; and feminism. In February 2018 opens an art exhibition entitled Plastic Entanglements: Ecology, Aesthetics, Materials at the Palmer Museum of Art at Penn State. Wagner-Lawlor co-curated this exhibition with Joyce Robinson, curator at the Palmer Museum, and Heather Davis, co-editor of The Art of the Anthropocene, Open Humanities Press, 2015. Shannon Winnubst is Professor and Chair of the Department of Women’s, Gender & Sexuality Studies at Ohio State University, where she teaches courses in queer theory and Afropessimism. She holds a BA from the Program of Liberal Studies at the University of Notre Dame and an MA and PhD in Philosophy from the Pennsylvania State University. Trained in the history of western philosophy, she has particularly focused on French scholars across the twentieth century, especially Bataille, Foucault, Irigaray & Lacan. Her research interests have focused on the complexities of race and sexuality as mutually animating social dynamics, particularly in specific historical registers of colonialism, classical liberalism, and neoliberalism. Increasingly interdisciplinary, she remains committed to psychoanalytic cultural analyses alongside historical and sociological research. 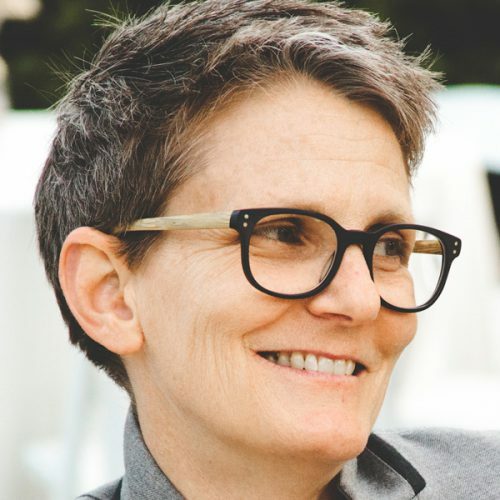 In addition to numerous articles and essays, she has published three books: Queering Freedom (Indiana: 2006); Reading Bataille Now, editor (Indiana: 2006); and Way Too Cool: Selling Out Race and Ethics (Columbia: 2015). She also co-edited, with Lynne Huffer, philoSOPHIA: A Journal of Continental Feminism 2013-18 and, with Jana Sawicki, a special issue of Foucault Studies, “Foucault and Queer Theory” (2012). Vicki Kirby is Professor of Sociology in the School of Social Sciences, The University of New South Wales. Her book publications include What if Culture was Nature All Along? (2017); Quantum Anthropologies: Life at Large (2011); Judith Butler: Live Theory (2006); and Telling Flesh: the substance of the corporeal (1997). The motivating question behind her research is the puzzle of the nature/culture, body/mind, matter/ideation division, because so many political and ethical decisions are configured in terms of this opposition and its cognates. Doctoral Programme "Cultures of Critique"
What does it mean for the humanities to be critical today?